In a growing international organisation like Rompa, it is increasingly important to have a clear structure. 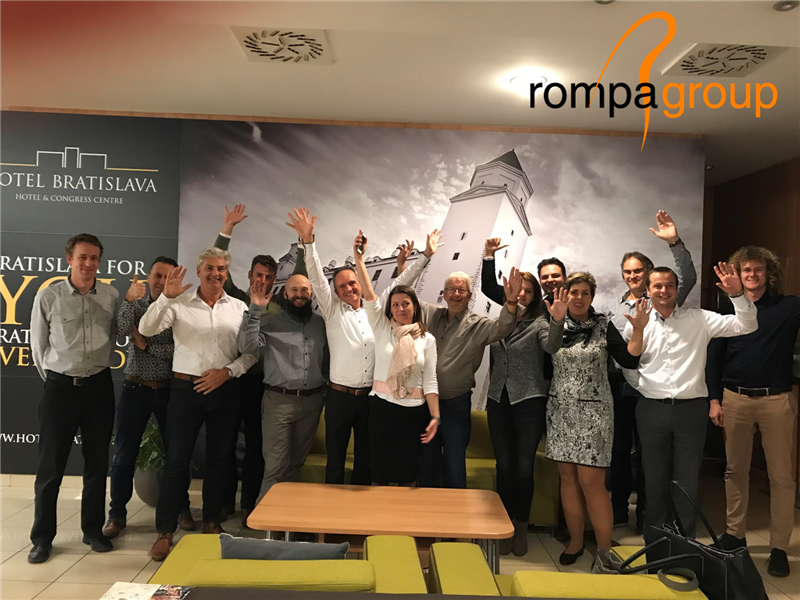 Because there is always room for further improvement, Rompa NL and Rompa CZ decided to get together for a meeting. On 7 November, fourteen representatives of the two locations – who normally operate at a distance of nearly 900 kilometres from each other – met in Bratislava. The meeting was a success: concrete agreements were made about optimising the organisation’s workflow. 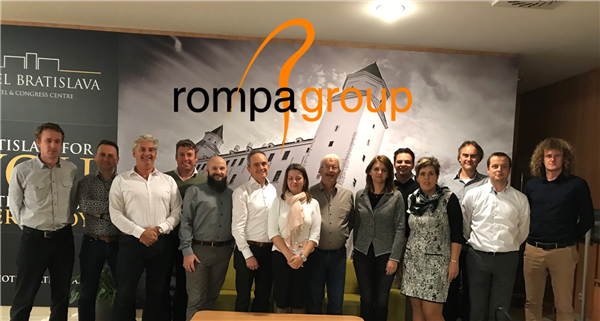 “It is rare for so many people from different Rompa locations to get together for a meeting,” says Robbin de Man, Sales & Marketing at Rompa NL. “Our people regularly travel back and forth and of course we often communicate by phone. Nevertheless, it was great to hold a major face-to-face meeting for once.” Patrick Gerard (CEO) and Malcolm Ford (executive director of Rompa CZ) also attended the meeting. Where are we now, where do we want to go and how can we get there? Those questions were also discussed at length during the meeting on 7 November. The results were recorded in the Rompa 2020 plan. What can you expect from us in the future? It is Rompa’s ambition to continue its growth and invest even more in innovative technologies, e.g. the production of plastic products with electronic features such as connectivity and wireless charging. In doing so, we want to offer our customers even more added value.